Changes are afoot on established river-cruise routes, with many companies setting out to attract younger passengers with themed cruises, varied shore excursions and unescorted, individualised options that range from hot-air balloon rides to foreign language classes. 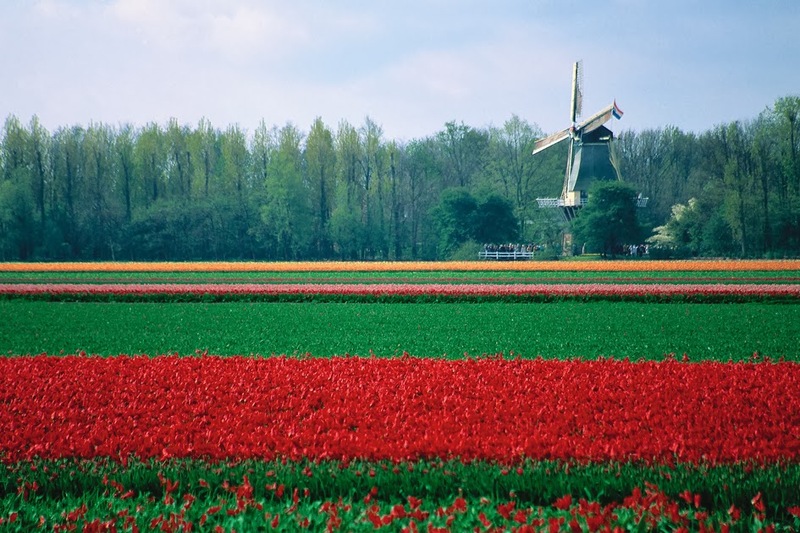 Fields of tulips in the Netherlands. VARIATIONS ON A THEME Many cruises are now themed on such topics as music, art, the Dutch tulip season and Christmas markets; this year, Avalon introduces cruises that focus on beer tasting, golf, wellness and World War II history. Scenic Tours’ themed cruises include Christmas markets in Germany, and the tulip season in Holland and Belgium. FAMILY FUN Captain Rivers predicts that the next few years will see more multi-generational passengers and even families on river cruises, with all-inclusive packages and price reductions for children similar to those seen on ocean cruises. Uniworld and Tauck lead the way with itineraries suitable for children, unheard of five years ago. A couple of years ago, Uniworld launched a Paris and Normandy cruise, as well as a journey from Cologne to Prague, aimed squarely at the family market, with child-friendly programs that include bike excursions, visits to toy museums, dessert-making sessions and behind-the-scenes tours of the ship. Tauck River Cruises has a Danube cruise aimed at families that includes scavenger hunts in Bratislava, a visit to the Prater amusement park in Vienna and a Sound of Music tour in Salzburg. Its latest ships even have Nintendo Wii at the bar. Burg Namedy castle on the Rhine in Germany. CHOICES, CHOICES Even on regular cruises, more discerning shore excursions are offered, reflecting river cruising’s increasingly younger and more adventurous clientele. For example, Uniworld’s ‘Exclusive Epicurean Adventurer’ option lets food lovers delve into local culinary traditions with cooking demonstrations and private wine tastings. Scenic’s ‘FreeChoice’ experiences might see you attend a Pustza horse show in Hungary or tour an underground lake near Vienna. And AmaWaterways (APT) is launching ‘Royal Experiences’ in 2014 with the promise of private opera recitals, palace cocktail receptions and Michelin-star dinners. Passengers heading off on a cycle tour. GO YOUR OWN WAY Passengers are increasingly doing it for themselves, too. Uniworld’s ‘Go Active’ program provides bicycles and Nordic walking sticks to passengers keen to set their own pace. AmaWaterways’ (APT's) new AmaSonata and AmaReina carry electronic bicycles so the energetic can freewheel along riverside paths. Some of Scenic’s ships also carry bicycles, allowing guests to pedal riverside paths. Meanwhile, Scenic has just unveiled ‘Tailormade’ GPS guides allowing guests to conduct their own tours: a witch tour of Würzburg, Rembrandt walk through Amsterdam, or cycle through the lavender fields of Provence. In short, whatever floats your boat. Have you noticed any changes in shore excursions, or care to add something of interest? If so, why not leave a comment. Our readers appreciate your feedback. Your information about tourism is really useful. Also I want you to share some updated news about the tour packages. Can you update in your website? Thanks for sharing this informative article.